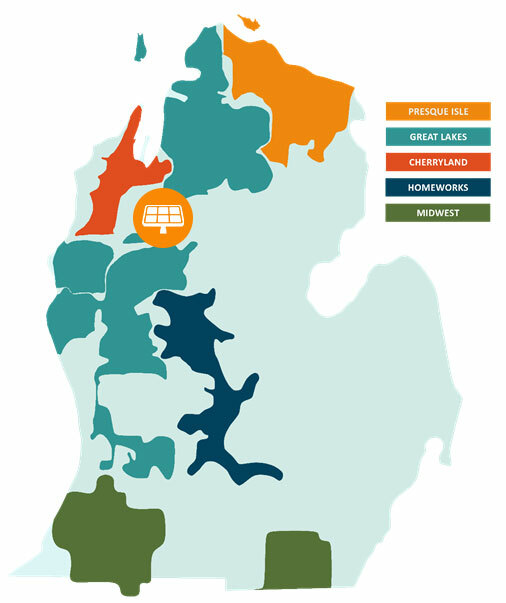 CADILLAC, MI --(eSolarEnergyNews)-- Wolverine Power Cooperative announced today that one of its member-owners, Spartan Renewable Energy, Inc. (Spartan) will commence construction this fall on a 1.2 megawatt solar array in Cadillac (SpartanSolar - Wolverine), across from Wolverine's headquarters facility. Wolverine will purchase 100% of the output from the project – the largest in Northern Michigan, for the benefit of its member-owners. "SpartanSolar represents our ongoing commitment to Michigan renewable generation – built in Michigan, with Michigan labor, and Michigan panels and equipment," said Eric Baker, Wolverine's President and Chief Executive Officer. "Wolverine continues to add clean energy resources to power our members' future. We will take our first step into solar with SpartanSolar and intend to add more solar power in the months ahead," said Baker. "Wolverine's members committed to far exceed Michigan's Renewable Portfolio Standard and, in the past few years, have become Michigan's renewable energy leaders – we will nearly double the statutory requirement this year," said Joseph Baumann, a Wolverine Vice President. "Much of this excess has been achieved through large-scale wind projects and solar power will now play a key role in further diversifying Wolverine's environmentally friendly power supply mix," concluded Baumann. Baker encouraged anyone interested in further information on the SpartanSolar - Wolverine project to visit www.spartansolar.com and sign up for updates as they become available. Wolverine is a generation and transmission cooperative serving the wholesale power supply and transmission needs of seven member-owners: Cherryland Electric Cooperative (Grawn); Great Lakes Energy (Boyne City); HomeWorks Tri-County Electric Cooperative (Portland); Midwest Energy Cooperative (Cassopolis); Presque Isle Electric & Gas Co-op (Onaway); Spartan Renewable Energy (Cadillac); and Wolverine Power Marketing Cooperative (Cadillac).